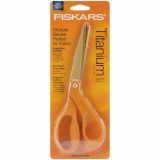 Premier Bent Titanium Scissors 8"
Premier Bent Titanium Scissors 8" - FISKARS-Premier Bent Titanium Scissors. Perfect for fabric! These scissors include an ergonomic handle for unmatched comfort and control and titanium blades 3x harder than steel. 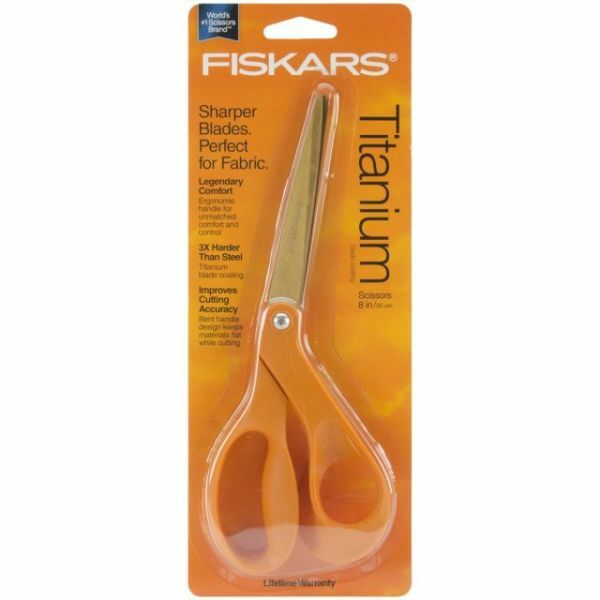 This package contains one pair of eight inch scissors with bent handles designed to keep material flat while cutting. Imported.